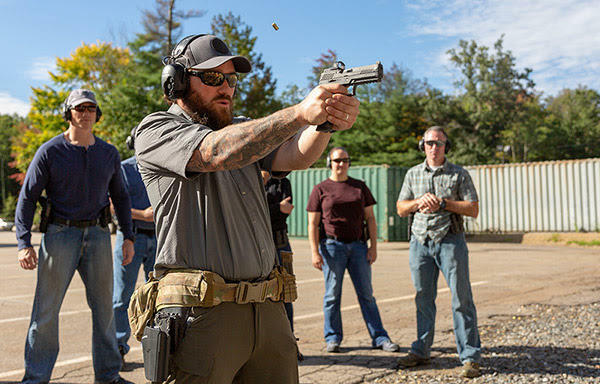 Newington, N.H. – SIG SAUER Academy, the leading provider of the highest quality firearms instruction and tactical training in the world, is pleased to announce a new course offering for 2019 with the addition of Pistol Mounted Optics Instructor to the SIG SAUER Academy course line-up. The first offering of this class is January 31, 2019 at the SIG SAUER Academy in Epping, New Hampshire. SIG SAUER, Inc. is a leading provider and manufacturer of firearms, electro-optics, ammunition, airguns, suppressors, and training. For over 100 years SIG SAUER, Inc. has evolved, and thrived, by blending American ingenuity, German engineering, and Swiss precision. Today, SIG SAUER is synonymous with industry-leading quality and innovation which has made it the brand of choice amongst the U.S. Military, the global defense community, law enforcement, competitive shooters, hunters, and responsible citizens. Additionally, SIG SAUER is the premier provider of elite firearms instruction and tactical training at the SIG SAUER Academy - a world class, state-of-the-art, 140-acre training facility. SIG SAUER is headquartered in Newington, New Hampshire, and has more than 1,700 employees across eight locations, and is the largest member of a worldwide business group that includes SIG SAUER GmbH & Co. KG in Germany. For more information about the company and product line visit: sigsauer.com.